What good is Halloween if your guests don’t feel at least a little frightened? 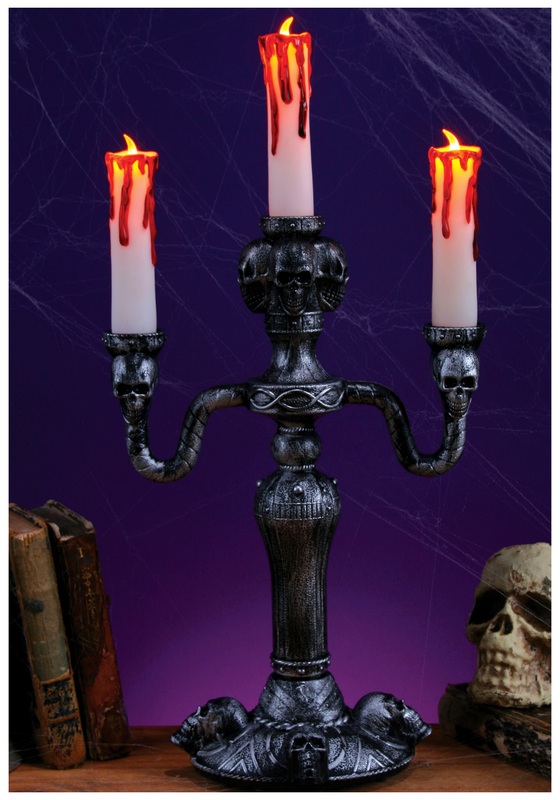 Add a ghastly look to your home with this 14 inch LED Candelabra to ensure you’ve done your part in keeping the scare-fest alive. We recommend waiting until after all Hallows eve to oil the hinges on your front door, so there remains a fabulous crrreeeeaaaak when you greet your trick-or-treaters with your well-lit yet sinister smile. Draw back your cape slowly to reveal your ashen face; the eerie light cast from this classic prop will surely send shivers down their spines as you pull back your lips to reveal two well-sharpened fangs ready to be thrust the necks of your next victims. Eeeek! 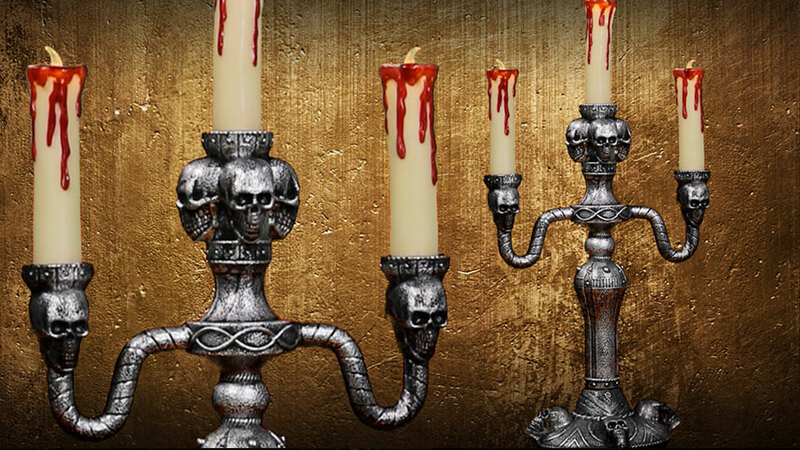 The red-tipped candles turn orange when lit and the silver base features a collection of antique skulls. If you keep enough AA batteries (not included) on hand, you may just find yourself reliving the moment throughout the year, getting a scream out of your kiddos when they are least expecting it!